For nearly eighty years my family has been producing traditionally reared British turkeys and geese guaranteed to be enjoyed at Thanksgiving and Christmas. Three generations of our family have been dedicated to rearing award-winning birds and this tradition of quality continues. During the day, our small flocks of free-range turkeys and geese enjoy the freedom to roam in grassy paddocks and fields around our farm. At night they are bedded down on our own fresh straw. Grown naturally and slowly to full maturity, they enjoy a completely natural diet that includes our home-grown cereals. Perhaps it is because we take such care and pride in nurturing them that Peach Croft Farm birds are renowned for their excellent flavour and goodness. A sentiment continually echoed by our many loyal customers in Oxfordshire and beyond. 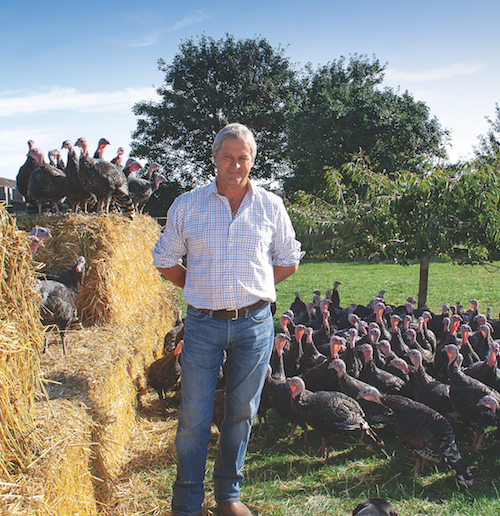 As members of the Traditional Farmfresh Turkey Association and the British Goose Producers Association, you can be confident in the quality of our food production. Our farm is independently inspected, verifying that all Peach Croft Poultry are raised to the highest standards and in the best welfare conditions. I thank you for your valued custom and all of us at Peach Croft Farm wish you a very Happy Thanksgiving and a very Merry Christmas.